Love this place, excellent service, friendly staff who stayed 5 minutes past closing to give me my rugs. Rugs turned out great – highly recommend their work! OMG Our vegetable dyed bedroom carpet looks brand new. I don’t even know the receptionists name but she knows her stuff. Just dropped off a wool runner with silk and I’m very excited to get it next week. Their prices are fabulous too! Bailey Rug is a wonderful place. I took in my mother’s very old wool braided rug. They cleaned and repaired it so that it is like new! They just did a wonderful job: the fibers are very tight and the colors look great. They are always very nice. I gave them a great review six months ago when they cleaned my wool rugs, but it seems to have vanished from the Yelp site. Bailey’s cleaned my 8×11 area rug which has been trampled on by my dogs for a few years. It came back beautiful! They are also some of the nicest people you will meet. Highly recommended!! I had a very nice experience here. I brought my rug in on Tuesday and had it back on Friday. It was very affordable and the people were very friendly. For the past several years, I’ve been taking our rugs to Bailey for cleaning. Really, I wouldn’t go anywhere else. They’re honest, reliable, reasonable and provide great service. 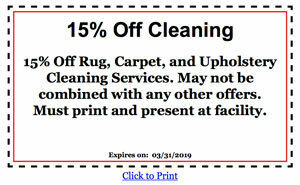 Bailey Rug company did a fabulous job cleaning my area rugs. I have dogs who tracked in mud and chewed meat bones on these rugs. That is not to mention the time one got a hold of a raccoon and the blood from that. But thanks to Bailey, my cream colored rugs are cream colored once more! I have a beautiful silk oriental rug that I have had for years. After having my two children around it…It didnt look so great anymore. i thought there was no hope for it and considered throwing it out. Bailey’s did an amazing job. The rug looks like new. Bright and clean! I am so happy. Worth the money, they are reasonably priced and super friendly. Think I will be switching to them to have my carpets in my home cleaned too from now on. I have used them for over 10 years now. Always polite, professional, on time. We have a hectic household with kids and pets so I send my carpets out about 1x a year. They always note if there are repairs needed and give honest feedback about stains or other issues. I’ve also purchased rug pads from them at very reasonable prices.